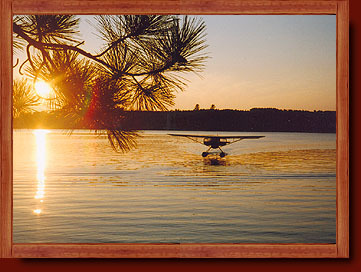 There is no better way to experience the wilderness and have access to incredible fishing than a remote Ontario fly-in fishing outpost camp. 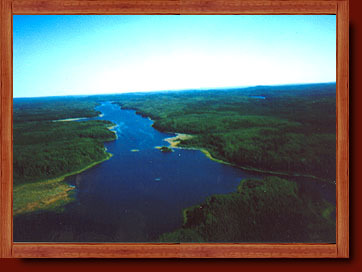 Lemoine Lake offers outstanding fishing for Walleye, Northern Pike and Jumbo Perch. Outpost vacations are Saturday to Saturday. We fly you in Saturday morning. There is a mid week check-flight to bring in more supplies and check on your safety. You need to bring your own Coast Guard approved life jacket. Seat cushions are not a substitute. Baggage Weight limit is 75 pounds per person. In Ontario, it is illegal to have any alcohol in the boat. Drinking and driving in a boat is the same charge as drinking in the car. Ontario has among the most strict anti-drinking laws in the world. On day of departure, guests need to clean the cabin, wash all the dishes and be ready to fly-out on the Saturday morning. The aircraft is on a tight schedule and not being ready to leave will cause major delay problems throughout the day.